A random sample of 250 households in Meru County were divided into treatment and control groups. 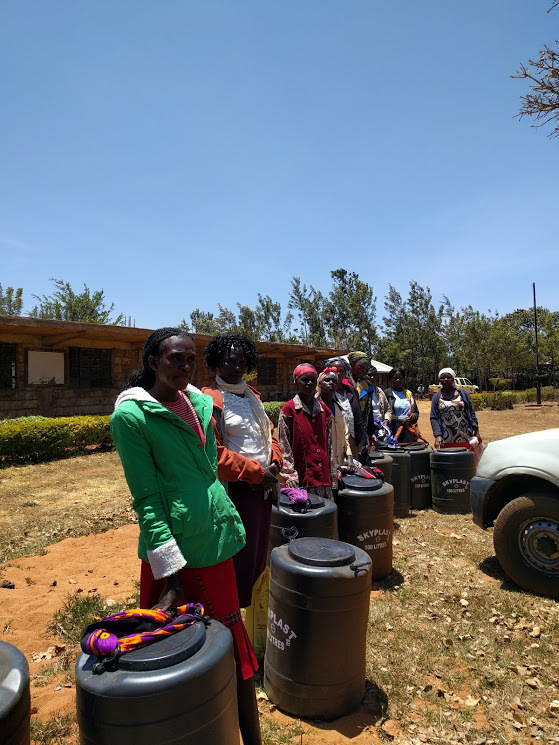 The treated group received tanks and free vended water. The control group received tanks and cooking oil. As part of the design of the project, all households were supplied with smartphones (and solar chargers) and asked to complete surveys at the beginning, middle and end of the project, answering questions about their experience of water collection, the time spent in water collection, and the effect on children’s school attendance. 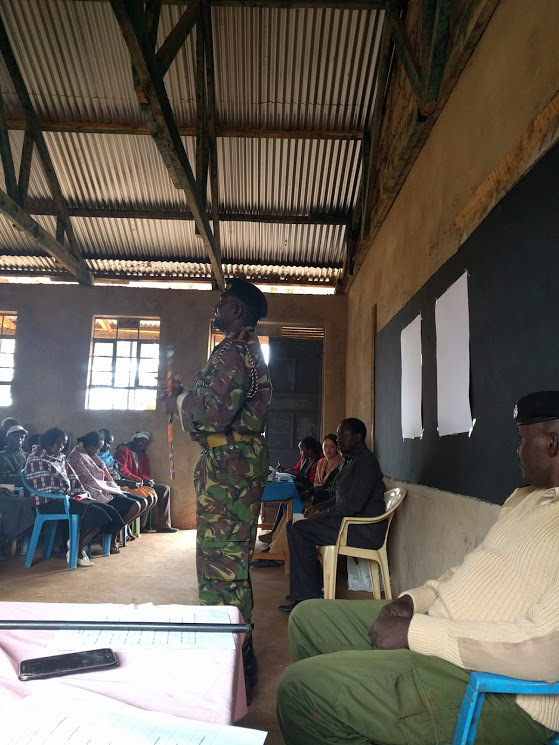 This past September, the randomization and distribution of tanks, vended water and cooking oil took place presided over the area chief Mr. Nabea. The tokens were received with song and dance by the head of the households. 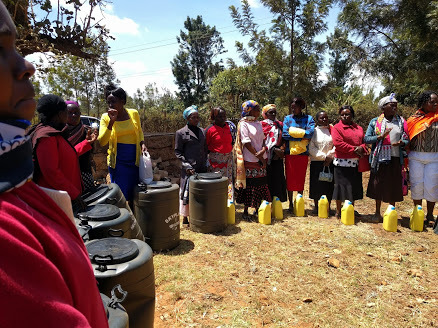 Women holding tanks are treatment households and the women holding oils (yellow cans) are control households. (see pictures below). EfD researchers Joseph Cook, Peter Kimuyu and Victor Mose and the Project leader Jane Mariara and research assistant Shireen Tabrizi participated in the field visits. This research project aims to increase the evidence base for socioeconomic impacts of bringing water points closer to homes and reducing water collection times and is a still ongoing project currently analyzing data with preliminary results on time use and affect that will help policy makers and the broader water supply sector as water quality and treatment of waterborne diseases will improve.